Taal Volcano is one of the most visited volcano here in the Philippines. So a dream come true for me to finally climb and explore Taal Volcano. To see, explore and experience is simply thrilling and somehow very exciting. The experience for me is totally all new. Everyone is really excited on these new experience. 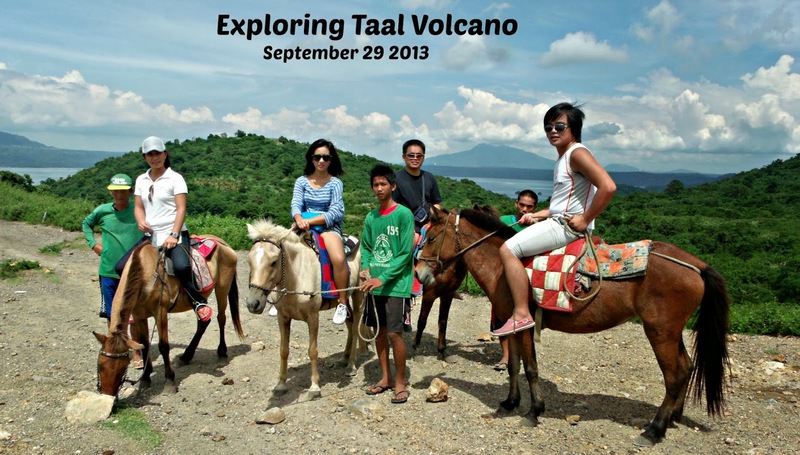 It is everyone's first time to definitely visit these most talked about volcano in Batangas. I admire the scenic spots in the Philippines and as much as my hearts desire I wanted to visit all of them. Of course one of the most accessible places is Batangas because its just a few hours away from Metro Manila. 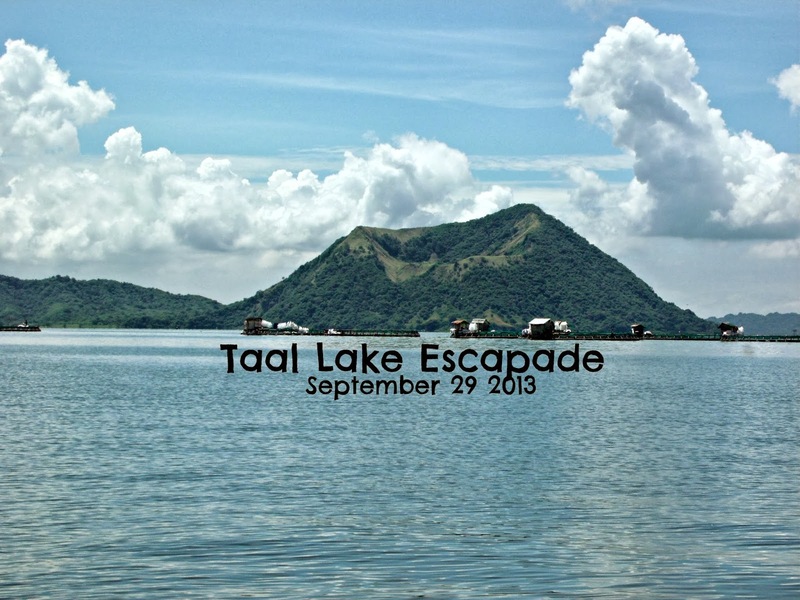 How to go to Taal Lake? The tricycle driver will then bring you in a place for a boat ride going to Taal Volcano. They would normally charge you with Php 3000 for a round trip good for six person. Then you would have to pay for Php 50 per person for an entrance fee and then you would have to choose if you would want to go to the crater by foot or by horseback riding. 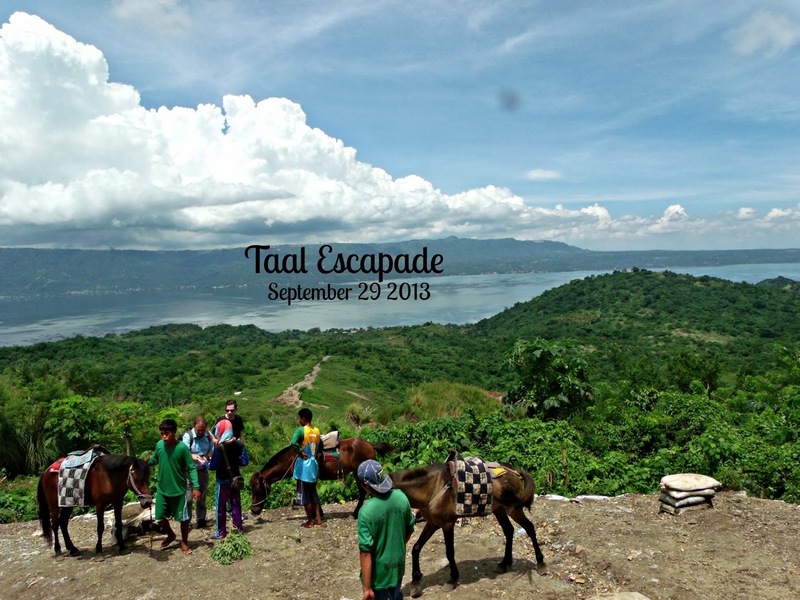 If you opted to walk and feel the beauty of Taal Volcano, you will only pay additional Php 500 for the tour guide. Or if you want another experience you might want to opt to horseback riding which would cost you Php 450 each person. However, as first timer in visiting that place in general it was awesome. In our case, we end up paying more than the usual fee. We got off the bus pretty excited when we reach Tagaytay. There were barkers as we call them since they are calling passengers to ride to their tricycle going to their destinations. So we asked the driver as to how much they charge per person going to Taal Lake. The tricycle clearly stated that its Php 20 per person. I myself would never ride until the driver gave me a figure on the fare. 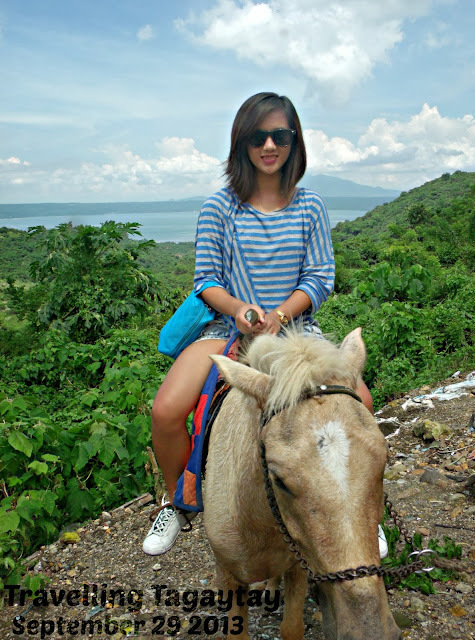 I am hesitant because I knew that Tagaytay to Taal is quite far. So I asked him again and he said its Php 20. So off we go to Taal Lake. We are happy and excited because all of us are first timers in visiting Taal Volcano. The tricycle driver drove us down to Taal Lake. Fresh air, luscious rain forest, cool fresh air. I wanted to go down the tricycle and take some photos. But of course we are running out of time so I didnt. hehe. When we reached Taal Lake, the boat owner told us that it would cost us Php 3000 for a round trip from Taal Lake to the foot of Taal Volcano. Honestly, I thought it is really expensive because its will only take you 15 minute boat ride from the shore to the foot of the Taal Volcano. When we reached the foot of the Taal Volcano, someone met us and asked for our names. It was a good thing at least they would have a record of tourist who is visiting the place. Then of course asked us to pay Php 1200 per person accordingly. We were quite for a moment because we have this instinct that it is too much for a horse and a guide that would cost us Php 4800 for 4 of us. So the man lowered it down to Php 3500. We still told them it is pretty expensive so he scratch his head and said we will meet half way at Php 3000 for the 4 of us. So we went up the crater with our horses. We had fun and we had moments of picture taking. 1. The people there are of course helpful and jolly. 2. The scenes are of course majestic as ever. 3. The horseback riding experience is one of a kind. 4. The place is picture perfect a must see places in the Philippines. 2. The tourism office don't manage the fees collection in general. I have visited few places in the Cordillera and everything there is centralized. You go to the municipal office and thats where you pay your dues or they have a uniform fees per destination. Ending we paid way too much for our TAAL VOLCANO Experience. 3. I conducted interview in Tagaytay and found out that the tricycles going to Taal Lake gets commission on the boat but we ended up paying the tricycle driver Php 120 per person as suppose to what we heard at first which is Php 20. So honesty is questioned. This happens when the Department of Tourism do not intervene or do not have an office for tourist to inquire. Department of Tourism should have at least have an office near Tagaytay for people to inquire about going to Taal Volcano. 4. 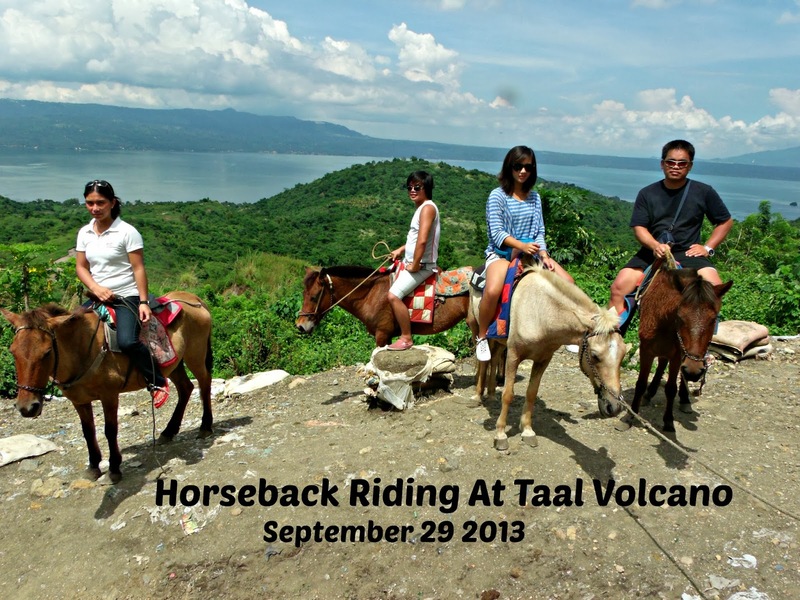 There is no safety guidelines found anywhere in the TAAL VOLCANO Crater. There are no or should replace the weak fences as well in the view deck of the TAAL Crater. The safety guidelines and fences are needed to of course protect their visitors from untoward accidents. 5. There are no public comfort rooms. Yes the place is a volcano but that is also a tourist attraction so it might be a good idea to have a public comfort room to at least better manage sanitation. 6. The fees should be lowered as well to attract more local tourist. I am sure there are a lot of local tourist wanting to visit the place however no one is willing to pay more or less Php 10000 just to visit the crater of TAAL Volcano. We spent approximately around Php 10000 for the four of us including fare, food . boat ride and hinete (pony boys), horse ride when we visited the Taal Volcano and I think that is not a reasonable price. I would rather stay in Tagaytay have a horseback riding there and of course eat all we can there plus buy some souvenir to spend the whole Php 10000.